Commercial relationships give rise to diverse forms of legal obligation in private law, including contract, tort, agency, company law and partnership. More controversially, equity and the law of restitution have a less defined and somewhat ambulatory role in regulating the affairs of commercial parties. Nevertheless, their impact is manifest in the commercial arena through the distinct types of liability they engender and the remedies that are imposed. This collection draws together the views of leading international scholars and judges to explore the nature and extent of this impact from two perspectives. Five chapters primarily address this impact at a macro-level, focusing on the roles of equity and the law of restitution in terms of legal taxonomy, doctrine and policy. 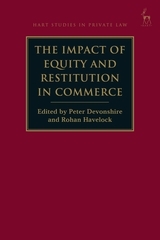 In contrast, five further chapters primarily address this impact at a micro-level, focusing on selected liabilities and remedies within equity and the law of restitution. 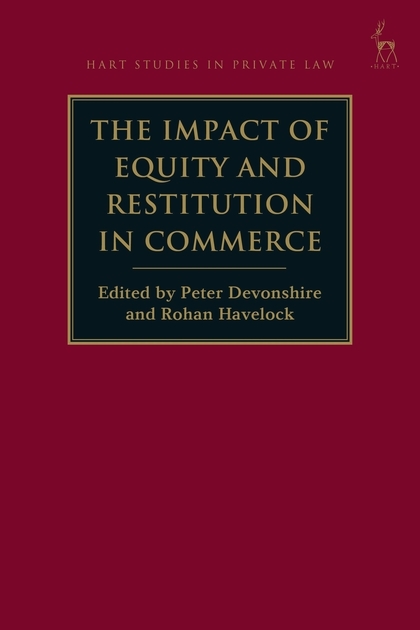 This bifocal approach enables a holistic appreciation of some important ways in which equity and the law of restitution affect or may affect commerce, with a view to fostering further debate over the fundamental issues at stake. 5. Restitution: A New Start? 12. Account of Profits for Accessory Liability: Still in the Thrall of Fiduciary Doctrine? Peter Devonshire is Professor of Law at the University of Auckland. Rohan Havelock is Senior Lecturer in Law at the University of Auckland.